I was lucky to get selected and join Origins Plantscription test panel awhile ago. As many of you would have know that Origins Plantscription is a breakthrough anti-aging product that has been officially launched last month. 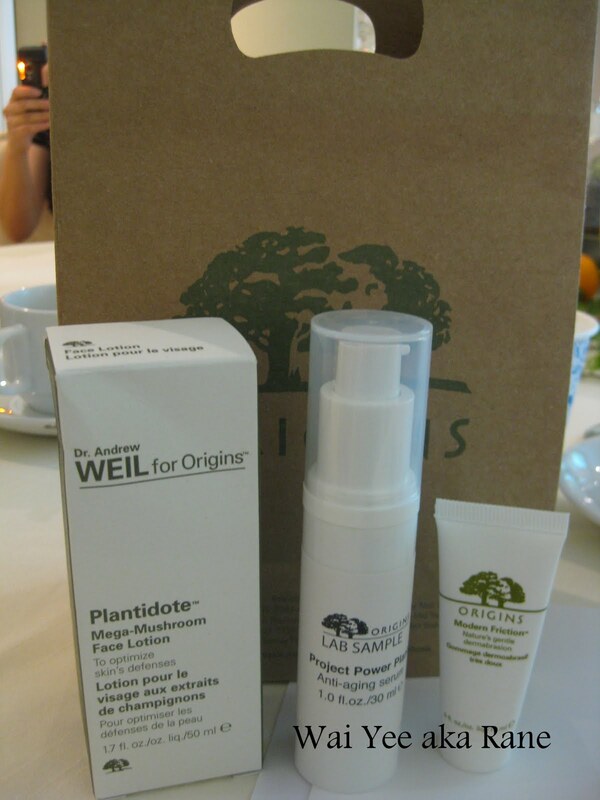 Origins Plantscription main ingredients are Anogeissus tree bark, Siegesbeckia and rosemary extract. These are all relatively new ingredients in skin care. Anogeissus tree bark has been found to have significant antioxidant activity, as well as to accelerate the rate of wound healing in rats by increasing skin’s production of fibrillin, a structural protein of skin. Fibrillin is necessary for the skin to build elastin, which keeps the skin firm; therefore, it is likely the increase in skin firmness exhibited in the aforementioned clinical trial may be attributed to Anogeissus. I have been using Origins Plantscription day and night for the past two months. I love it's texture as it's light and very easy to absorb. My forehead and laugh lines have reduced significantly and I love this product to every bit. Origins also gave me a bottle of Dr. Andrew Weil for Origins Mega-Mushroom Skin Relief face lotion to compliment my skin care routine for the past 2 months. Origins Mega-Mushroom Skin Relief face lotion is perfect to repair my skin, it reduces redness and sensitivity. The main ingredient of Origins Mega-Mushroom Skin Relief face lotion is Narcissus Lily Bulbs that optimizes skin's defenses to help prevent future damage. Do check out these products at all Origins store yeah. Their helpful SA will help you to get a range that is suitable for your skin. Right here is the perfect website for anyone who wishes to understand this topic. written about for many years. Wonderful stuff, just excellent!